Could you please tell us about yourself? I was born in 1978 in Antalya. My parents were born and raised in Kemer and that’s why I spent my childhood there and witnessed the most beautiful years of Kemer. In 1982, planned tourism began and we started to manage a camping side. After that, right next to the tents and trailers, we had bungalows because my father was a wood craftsman and owned a wood atelier. During that time, our Kemer seacoast camping site was on sand dunes and the composition was very natural. We had German, Scandinavian and local guests and of course German-Turks. Some of those guests bought houses from Kemer and some of them still come to our hotel for vacation. My biggest gain is witnessing the development of tourism and growing up within it during those years. After the bungalows, an obligatory construction plan was created and concrete constructions were made. We couldn’t resist the change, had to leave our intimate structure and shifted to the concrete jungle. As a child, I constantly observed my parents, especially my father. Him teaching us his approach to the guests, his dialogues with the employees and his “the guest is always” right principle became very important in the years ahead in our careers. I met with Antalya during my high school years because we didn’t use to go to Antalya from Kemer if it wasn’t really important. In those years, transportation wasn’t great and we had to go into business. That’s why, as siblings, we started to run the store within our hotel for 3 summers. Our father told us that the profit and the loss will be ours and didn’t get involved in anything. This was my first serious job experience. Of course, all of my peers were enjoying the summer, sea, sand and sun but I was working in my store. It wasn’t boring; on the contrary, it was very entertaining. I always loved working. If you’re wondering whether we profited from the store, the answer is; yes it was a very profitable business. I completed Private Mediterranean High School and in 1996, I started studying at Uludağ University’s Department of Labor Economics and Industrial Relations. My years in Bursa were my first long departure from my home, my family and Antalya. After a heaven like this city, most of the other cities bother me. It wasn’t easy to get used to Bursa. After I graduating in 2000 as the highest ranking student of the department, I started my Master’s Degree on Tourism Management at Akdeniz University. During my college years, I was working in the sales department and doing entrance and exit operations in the warehouse during summer. That’s how I learned what we buy for the facility, how much package we get, our suppliers and how much we pay them and what is needed for the kitchen. Working in the center of everything was a great experience. After that, I worked at cost control. However, these years showed me that my father founded this business on his own and he is the only person managing everything and it is going to be hard for me to take responsibility in this business as his daughter. That’s why, I decided to take another path and become an academician at Akdeniz University. While I continued my master’s degree, I worked as a full-time research assistant and became a public servant. Now, I was an academician which has hundreds of students every year, enters to exams, gives lectures, reads exams and prepares notices for congresses. I was standing on my own feet and wasn’t planning to go back to my father’s business but life doesn’t always work according to your plans. In 2004, I completed my master’s degree and resigned from my job. I went back to our business and started working at accounting. We started to work on the change of this single-handed management, in this compatible process we developed our investments and reached to a 1600 bed capacity. My father became my role model with his entrepreneurship and his passion of doing social works without expecting anything in return. Now, I realize that this way of living slowly became a part of me. I’m glad that it did or else I wouldn’t be answering these questions now. I have been working in the management of our hotels since 2004 and I have been working in different non-governmental organizations of Antalya since 2006. I take women being a part of business life and representation of women very seriously and that’s why I am doing everything I can for this city with sacrificing a lot and I will continue to do that as long as I live. I worked as the Council’s Deputy Speaker of Antalya Chamber of Commerce and Industry (ATSO), General Secretary of Mediterranean Touristic Hoteliers Association (AKTOB) and Vice-President of Antalya Promotion Foundation (ATAV). I have been working as the Board President of ATAV since September 2017. I can say that ATAV is now my third child. I gave birth to my daughter Selin in 2009 and my son Arsel in 2014. Without any doubt, my best and most important investment in this life is my children! Could you please tell us about the structure and business model of Antalya Convention Bureau? How do you manage division of labor and operations? Antalya Convention Bureau is working within the body of Antalya Promotion Foundation. It is a non-profit organization and its board president is also the president of ATSO and its board vice-president is also ATAV board president. The board of Antalya Convention Bureau consist members of non-governmental organizations and leading congress and meeting industry professionals from POYD (Professional Hotel Managers Association), AKTOB (Mediterranean Touristic Hoteliers Association), TÜRSAB (Association of Turkish Travel Agencies) Regional Board Congress Organizer Association Managers, Antalya Fraport-TAV, Akdeniz University Tourism Faculty. Antalya Convention Bureau works accordingly with its board decisions. What do you think of Antalya Convention Bureau’s position within Turkish MICE industry? When we say MICE in Turkey, the only two destinations which comes to mind are; Antalya and Istanbul. Antalya is hosting almost 75 percent of the national congresses. However, Istanbul is one step ahead of Antalya when it comes to international congresses. That’s why, we are in a very close relationship with Istanbul CVB. 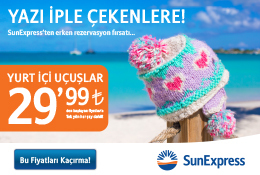 Antalya is an irreplaceable MICE destination with its direct and connecting flights. When we consider the attraction centers of the city, we can say that Antalya Convention Bureau is very lucky because this is a destination which has an ancient city in every 20 kilometers. Most of the 200.000 seat capacity of the city is in the beachside and most of the facilities have golf ranges, that’s why we can say that Antalya was born under a lucky star. As ACB, we market and explain this variety without any profit motive. In 2014, ACB organized ICCA’s 53rd General Assembly. According to the surveys, it is a great success to be one of the 5 best general assemblies until now. All of the delegates only remember one destination since then: Antalya! It is not a coincidence that G20 Summit was held in Antalya in 2015. For example; in 2014, 113 national congresses were held at Antalya and 69.170 people attended to them. During the same year, 98 international congresses were organized and 46.211 people attended to them. As Antalya Convention Bureau, what kind of services do you provide to Turkish MICE industry? Main job of Antalya Convention Bureau is to promote Antalya’s Congress and Meeting infrastructure in national and international platforms and while doing that, making sure that its members are primarily benefiting from these promotion and marketing operations. We provide services like; delivering offers to our members, delivering their replies to the requester, promoting and marketing the destination in exhibitions and workshops, contacting the local representatives for international congresses, making sure they are inspected, preparing offers with the local associations and unions to bring international congresses to our city and supporting our city and our members in many other topics like these. In addition, this year we are going to attend ACE of M.I.C.E. for the first time as Antalya Convention Bureau with a 300 m2 stand and with our hotels and airport. This is a first and it is a great platform to talk about our 200.000 seat capacity. If we succeed in this exhibition, we are planning to do the same with the other exhibitions abroad. We are not using our 200.000 seat capacity in an efficient way right now. Other than our exhibition operations, we continue to promote Antalya. Each year, we explain the region of Antalya visually and in writing to the Meeting Planner Guide. In this catalogue, we explain the congress potential we have in detail by facility. The catalogue is in our USB drives and we give them as gifts in our meetings. We market the important organizations we held in the past and continue our promotions. Other than that, we use our city’s valuables and historical richness and we would like our guests to live each and every part of our city with international activities, concerts and dance shows. Congress tourists would like to live with the city. They don’t want to be stuck in their hotel. They would like to see the important valuables of the city and when compared to resort tourism they leave 3 times more revenue with their shopping. We would like to host these people in our city. There is an important decrease in the congress market all around the world and we are working to make sure Antalya is minimally affected. Where do you think Antalya is within Turkish and global MICE industry? According to the ICCA reports, in 2017, 12.558 congresses were held in 110 countries in the world. Turkey is in the 49th place among 110 countries. 406 cities of 110 countries hosted congress organizations and Istanbul is in 133rd and Antalya is in 165th place. In 2017, 42 European countries hosted congresses and Turkey is in the 26th place. 197 cities of 42 countries hosted congress organizations and Istanbul is in the 74th and Antalya is in the 89th place. Unfortunately, these numbers have dropped since 2014, our places were much higher before. We will work hard and promote our cities in the best way and make sure we rise. How do you review the development of Turkish MICE industry? What can be done for more? Ministry of Culture and Tourism accepting that MICE industry creates a beneficial revenue item can be a good step for us. They should also realize that since MICE industry has a guest audience which spends 3 times more than regular tourists and it has a very important place within the development of the cities, we have to do PR and promotion activities for remarkable seat capacities. What can you say about 2018? What are your 2019 expectations and goals? We aim to bring grand congresses to our city. There isn’t an increase in congress tourism however we preserve the current numbers. We would like to gain speed in congress tourism before 2023. Our city is going to get a new 10.000 people capacity congress and exhibition center in Belek region in 2019. We also think that Turkish Airlines’ direct flights to Antalya will be very positive for us. If you have any, could you please tell us about your new projects? As Antalya Convention Bureau, we are going to attend ACE of M.I.C.E. Exhibition for the first time with our hotels, airport management and congress&exhibition management and as Antalya destination, we are going to have an extensive space within the exhibition. I believe that we will have beneficial meetings during the exhibition and will get even a better representation next year. If we succeed, we are going to attend important MICE industry exhibitions like IBTM Barcelona with the same system even though our Ministry doesn’t approve our attendance. Of course at that point, the attendance and support of all CVBs in Turkey are important. As ACB and as a member, we are going to host ICCA Med Chapter 2019 on February 17-19, 2019. We explain Antalya’s capacity and opportunities in detail every year with the Meeting Planner Guide. This booklet is also in USB drives. The cover design is selected by focusing on a topic which we would like to underline for Antalya. After a very thorough work, this year, we focused on the variety of butterflies in Antalya (183 in total), our guest numbers from all around the world and our tourism variety. This design was promoted in IBTM Barcelona 2018 for the first time and received amazing feedback. What do you think about ACE of M.I.C.E. Exhibition by Turkish Airlines ve ACE of M.I.C.E. Awards? ACE of M.I.C.E. is the only MICE industry exhibition of Turkey and that’s why the industry should never lose its attention towards it. It needs to improve its international parts and we shouldn’t be just us when it comes to exhibitors. The number of destination promotions must also increase because that’s how the world does it. Destinations are important in MICE industry and most of the time, the attendee comes without reviewing the facility and that’s why it is very important to explain the destination in the right way. ACE of M.I.C.E. Awards is the Oscar ceremony of tourism. The sustainability and the credibility of these kind of awards are important. This is an award ceremony which is in the international levels in both criteria. Other than work, how do you spend your time? What would you like to do in your spare time? My work in non-governmental organizations takes up a lot of time. I like to spend time with my daughter and my son, I like showing them archeological sites and museums. Eating and cooking is like a passion for me. Also, having intimate conversations with our friends is important for me. The importance of MICE industry is not yet understood in Turkey. CVBs are the ones who are going to explain this and promote the industry. The ministry and the government must support this field and when we look at successful destinations we see that this is the way to do it. We must support the exhibitions in our country. Let’s not forget that if we’re not strong inside, we cannot be strong outside. Becoming unique in resort tourism might take time as a destination but in MICE industry, with a good promotion, it is possible for us to attract different markets.